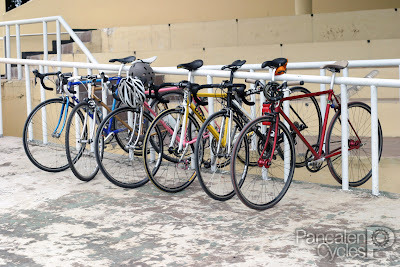 We found this picture taken at Rawamangun Velodrome, Jakarta when it was open for public at April 2011. 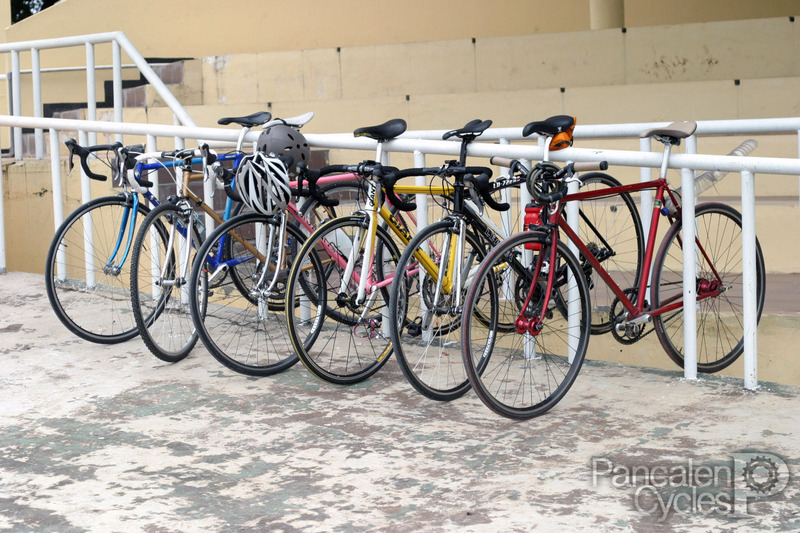 It's one of those rare occasions when six bicycles that we built gathered at the same spot. From left to right, it's Fitra's Somec, our Suntour cyclocross, Antha's Roberts, Reza's Giant TCR (built with Shimano 105 5700), Indra's Leader 722RS (also with 105 5700), and our custom singlespeed. Yes, that was a makeshift fender made from plastic water bottle, if you're asking. Velodrome Bandung is open, shall we? is it open at nite? or at least before dusk?